Riot Games has done an about-face on their policy blocking contracted players in their League of Legends Championship Series from streaming rival games. 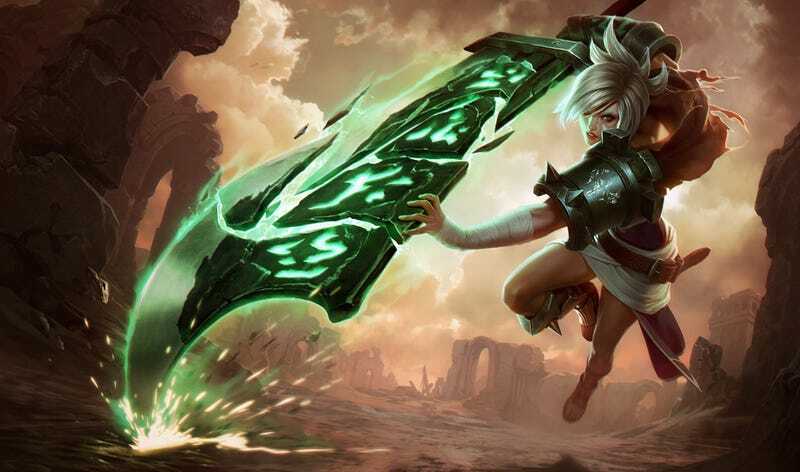 As came to light earlier this week, Riot's existing Championship Series contract bars players from streaming any of a number of other games during the extent of the contract. Included games include League of Legends rival DOTA 2 as well as games like Demogod and Fat Princess. Today on Reddit, Riot's Whalen Rozelle said that the after "having a LOT of internal debate over the last 24 hours," the company had decided to change the LCS requirement "to something that more closely matches our intent." Players will be free to stream whatever games they want, though while under contract, they can't accept sponsorship from other game companies to promote other games. There's been a ton of discussion around our LCS team contracts, which stipulated active LCS players couldn't stream a variety of other games. First, background on why we did this: there've been instances of other game studios trying to buy access to League fans by using (or trying to use) LCS teams/players to promote their competing games on stream. The way we chose to deal with this was clearly an overreach. It hit our goal of preventing companies from advertising through LCS players, but it also encroached on pros' ability to have fun and entertain viewers during long Challenger queues – and we realize that's not cool. After reading all of your comments and having a LOT of internal debate over the last 24 hours, we're going to be changing the LCS team requirement to something that more closely matches our intent. While under contract to the LCS, teams and players can't accept sponsorship from other game companies to promote other titles. Besides that, they are free to stream any games they want. I'll be hanging around to answer questions if you guys have any. Thanks for helping us make a better decision on this.